Lisa A. Evans-Thomas is a Nurse Practitioner certified by the National Certification Corporation (NCC). She has had her license with the State of Michigan since 1979. She completed a Masters of Nursing, and a Masters of Nursing Education from Wayne State University in 2005. She completed a Doctor of Nursing Practice from Oakland University in 2011. Lisa’s specialty in Women’s Health is a complement to the physicians who specialize in female urology. 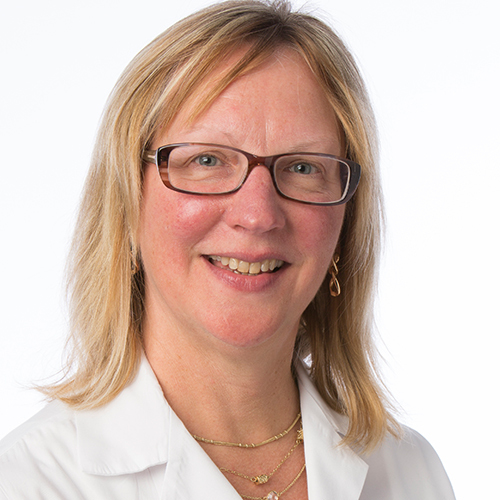 She provides care at Michigan Institute of Urology for male and female patients, with special interest in Interstitial Cystitis, genital prolapse, urgency and urge incontinence, sexual dysfunction, pre- and post-operative patient teaching and urinary tract infections. Lisa performs in office non-surgical procedures including bladder instillations, pessary fitting, neuromodulation, percutaneous tibial nerve stimulation, urodynamic testing and catheter care. Lisa’s nursing values reflect supportive and educative care for patients and their families. She recognizes and respects women as decision-makers for their health and family’s health and promotes patient self-efficacy and empowerment. Also, Lisa defines quality health care to be inclusive of an individual’s physical, emotional, and spiritual needs. Nursing affiliations include; Society of Urologic Nurses and Associates (SUNA), Michigan Council of Nurse Practitioners (MICNP) and Nurse Practitioners in Women’s Health (NPWH). Lisa volunteers at Super All Year Detroit (S. A. Y. Detroit), a branch of the Detroit Rescue Mission Ministries. This clinic is the largest rescue mission in the country and a place where homeless women and children can obtain basic care. Lisa has received a grant from SUNA to provide urologic educational materials for S.A.Y. Detroit.